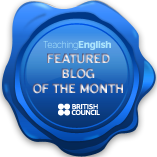 I thought I would collate all my IATEFL blog posts into a single post, as I usually do, but with a twist: This year, I am going to weave them into a narrative of my IATEFL 2016. I arrived at the ICC from New Street station after my “I’m going to walk” initial attitude had been wiped out by immediately getting lost and doing a big circle at the end of which I was back at the station again. “Where are the taxis?” was a much more successful approach. Thankfully, Sandy was there when I arrived (somewhat flustered!) and pointed me in all the appropriate directions, which meant I was well in time for the start of the event. This was the day I attended the Materials Writing SIG Pre-Conference Event – Print VS Digital: Is it really a competition? I watched Ceri Jones’s talk about the similarities between print and digital, through looking at a specific learning task in various print and technological manifestations. This was followed by Genevieve White telling us about the skills needed to adapt a print course to digital. After the break was the young learners and teenagers section – Katherine Bilsborough gave us lots of great tips for primary materials design and Fiona Mauchline took us into the minds of teens. From this, we moved on to a focus of self-publishing with Damian Williams and editor etiquette with Sue Kay. I was very surprised to discover that leaving 2 spaces after a full-stop isn’t something that everybody else does. I learnt it when I learnt how to use computers and have done it ever since…or have I? Looking at my blog posts, it seems that I actually don’t leave two spaces after all. Yet I could have sworn I did… Just as well it’s no longer a thing then! The SIG day was rounded off with a panel discussion. On Tuesday evening, along with Sandy, I discovered that Jamie’s Italian does some very good vegan options – yum! Of course, the time spent catching up with people who you haven’t seen, well, since the last IATEFL conference, is all part and parcel of the experience. It started, of course, with the opening plenary delivered by the wonderful David Crystal, which did not in any way disappoint. A fascinating hour and twenty minutes. My next session was a sit-out, as I wanted a bit of head-clearing time before I did my talk in the 12.00 slot (How amazing to have such an early in the day AND early in the conference slot! (I’m used to the penultimate day graveyard slot…). It was part of a listening forum, which meant that I spoke alongside Craig Wealand and Ellen Servenis. Craig talked about using podcasts with students, in terms of encouraging them to listen outside the classroom, while Ellen talked about using listening journals with, like me, the goal of encouraging students to use metacognitive strategies to help improve their listening skills. Both talks were very interesting and I enjoyed being part of a forum, though our time allocation seemed incredibly brief! That done, I could get down to the serious business of making the most of my IATEFL. After lunch, I attended an EAP-focused talk, by Angela Smith which was about sharing ideas for supporting postgraduate students, a materials development focused workshop, by Kath Bilsborough and Sue Lyon-Jones, which had loads of ideas for using what’s already out there in your materials and how to do that, and a talk about introducing flipped learning into a university EAP setting, done by Robyn Brinks in collaboration with Pearson, so a nice variety, all in all. From 6.30 to 8.00 in the evening, following a rushed bite to eat at The Handmade Burger Co. near to the ICC, it was the Cambridge “invitation-only” event time. I have no idea why I was invited, but on the plus side for me, there were two-minute talks as well as the usual hobnobbing that I am so inept at! Through these I had a taste of Silvana’s fantastic presentation style, which made me look forward to the next day’s plenary. Well, between having seen Silvana speak briefly on Wednesday evening at the Cambridge thing and having read the abstract for her plenary – The Native Factor: the haves and have nots – I had high expectations. What I didn’t expect was to reach the end of it feeling like I wanted to cry and having to fight really hard to get all my emotions back under control. Because seriously, who cries in a plenary, how embarrassing! Turns out I wasn’t the only one. Such an important topic, so immaculately delivered, I highly recommend that you watch the British Council recording. Profiles a text according to CUP – CEFR band scales. You can try a version for free on the Vocabulary Profile website. If you go to Text Inspector: paste text into text box, click analyse and you get the output from text inspector. Different metrics down lefthand side. If you think it has miscounted e.g. number of sentences, you can edit it and update the scores. You can also jump straight to the scorecard and get an overall analysis of your text, all the statistically significant data. Number of metrics used are e.g. average syllables per sentence etc. They have a statistically significant influence in terms of Band. Not really worth a blog post, I think you’ll agree! It looks an interesting tool though, worth a closer look. I did manage to get on the WiFi for the next talk, which was by Michelle Tamala who was looking at how to help EAP students become more autonomous and use metacognitive strategies. Finally before lunch, I also attended Alan Maley’s talk, Ten great educators and their legacy. 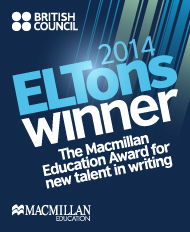 Thursday had an EAP theme running through it – the next talk I attended was ‘You tell me! Practical ideas for student led tasks in ESAP’ by Anne Heaton of Coventry University who she talked about making general English for Academic Purposes classes more subject specific by using students’ own knowledge within tasks, and I went from that to “How to optimise tutorial time: the 20 minute fix” by David Jay of Anglia Ruskin University. Finally, I attended the Panel on Native Speakerism – it seemed the obvious thing to do after the morning’s plenary! It was interesting to hear about the issue from a range of perspectives. I was very shocked to learn that Christopher Graham had received hate mail (of the “You are betraying your tribe” variety) for supporting the TEFLEquity movement. I suppose I always like to think that people might have got over being so ridiculous by 2016. The truth is, in our profession, the battle is yet young. Friday was another lovely day, full of the spontaneity that makes IATEFL, well, IATEFL! I started with Tyson Seburn’s talk on learner-sourced visuals for higher level texts and then took a break from the EAP theme with Dita Phillips’s talk, “I’m a non-native speaker teacher, hear me roar!” I nearly didn’t get in – first I sat on the floor and then the ushers tried to chase me and some lovely person gave up their seat for me and exited! Thank you, whoever you are! After that, I really wanted to go to Sarah Milligan and Patrick Curry’s talk but finally opted for the MaW SIG Open Forum, after all I am a member! It was great to hear the summing up of the year, as well as about their future plans. Their scholarship (in collaboration with OUP) winner also said a few words, which was nice. Finally, I won one of the raffle prizes. 🙂 The SIG are recruiting new committee members and I am tempted to put in for the deputy publications role, running out of time though! After lunch, I returned to the theme of EAP with Michelle Hunter who spoke on the topic of “Demanding High in ELT – silently” and followed it with the follow-up workshop to Silvana’s plenary – couldn’t miss it! As you would expect, the turn-out filled a good-size hall! The time went very quickly, too quickly really, but the discussion was fruitful. I think/hope lots of people have gone away from IATEFL thinking about how they can make a difference. I know I have! That was all the conference sessions for the day, so off I went to Wagamama’s to grab a bite before the Pecha Kucha. Two other delegates had the same idea, one of whom I “know from online” and so we wound up having a lovely dinner together quite unexpectedly. This is one of the things I love about IATEFL! I thoroughly enjoyed both the dinner and the Pecha Kucha. It must be a real thrill to do one! Other highlights of the day included picking up my annual Black Cat publisher bag! 😉 And also discussing ideas for future IATEFL talks with Sandy and getting an idea for a project that may well keep me going for years! Saturday began with snow, which was rather a shock! Fortunately by the time we made our way over to the ICC, it had stopped. Scott Thornbury did the final morning plenary – 1966 and all that: a critical history of ELT. I missed the session straight after the plenary because I was saying goodbye to some people but then I went to “What is this thing called Academic English Language Proficiency?” which was really interesting! All about conceptual frameworks for competency and Dr Pamela Humphrey’s idea for one that combines all the ones she has read about. The last talk I went to was Damian Williams’ talk on language development for teachers, which was about integrating language development into teacher development. Emerging from the bubble, walking in the sunlight after getting back to Sheffield and the real world (feeling somewhat bizarre after 4.5 days of intensive conferencing) followed. And that was the end. Except…yesterday evening, I finally got round to putting the registered blogger badge on my blog! 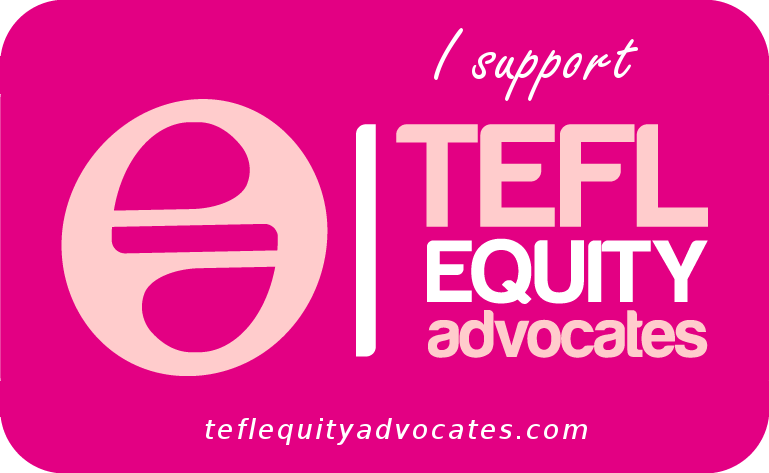 (Along with the TEFLEquity supporter one that I now proudly sport!) You can add one to your website or blog too, see this page to find out how. For other ideas of how to get involved have a look at this page. My final IATEFL-related acts for the weekend were sorting this blog post out and writing a post that was my way of continuing the Native Speakerism issue. (It’s ok, I haven’t spent all day on the computer, I also went for a lovely little 12k run in the sunshine!) Now it’s back to the real world, but carrying all the motivation and buzz that IATEFL never fails to supply. Thank you so much for your narrative! I hope to be able to attend next year and witness it first hand. I found many of the topics quite interesting and will be busy at least for a few weeks slowly exploring through all the links in this post. Thanks for your great job every year. This is the first time I’ve followed the IATEFL, but I will definitely be going trough previous versions as well. This is wonderful, I love the narrative form 🙂 I shall definitely be catching up with some of the materials writing posts! I too had a delightful and unexpected meal in Wagamamas on the one evening I was there for dinner, what a great conference location.